The healthcare industry has come a long way over the last century, evolving from a rudimentary practice to the modern medicine we have access to today. In recent years, this dedication to innovation has moved beyond improvements in healthcare technology to also encompass enhancements in the designs of waiting areas and patient rooms. Tasked with being universally applicable to any patient, regardless of age or ailment, waiting and care rooms were often outfitted in stark whites. Driven largely by safety and efficiency, little attention was paid to the psychological impact of the palettes and materials used in healthcare spaces for much of the 20th century. As an increasing number of studies across a range of industries reveal that the built environment has a profound impact on psychological well-being, and consequently physical well-being, healthcare facility executives are beginning to take notice. Now that we are better able to understand the human response to that built environment, we can account for it in the designs of healthcare waiting areas and patient rooms — specifically with relation to the incorporation of color psychology into those design considerations. Clear linkages have been made between color and comfort, confidence, and optimism for both patients and their visitors. As such, healthcare facilities are beginning to abandon their sterile reputation in exchange for cheery colors and engaging artwork. Well-appointed color schemes can enhance sterile healthcare interiors, while lifting spirits and calming nerves for patients and visitors alike. One of the most cost-effective ways for healthcare facilities managers to incorporate color is through the use of mosaics. Mosaics pose longer-term economic benefits than other cosmetic upgrades such as new carpet, a fresh coat of paint, or a patterned wallpaper. Tile is inherently durable — virtually indestructible when installed with a urethane or epoxy grout — and requires less maintenance as far as cleaning and upkeep are concerned in comparison to other surfaces. 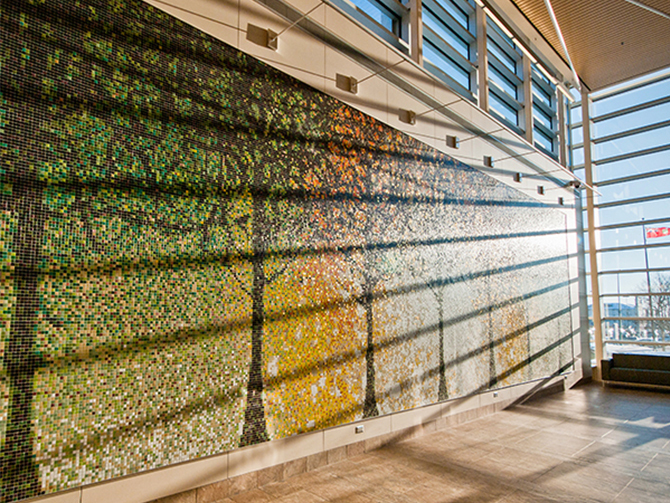 Moreover, mosaics offer distinctive, contextual works of art that can differentiate a healthcare space and its unique characteristics from competing hospitals, while bringing a positive energy to traditionally stressful environments. Beyond the financial benefits to mosaics for healthcare spaces, some glass tiles are non-porous, meaning its both hypoallergenic and can be sterilized, if necessary. The most important benefit to mosaics, however, is the psychological impact that colorful tile artworks can have on overall wellbeing. For example, cool colors (think blues and greens) tend to be more relaxing than warm ones such as red. Moreover, yellows and greens can be used to increase optimism, particularly amongst adults. These moods have been shown to have an impact on the body’s ability to respond to treatment and ultimately heal, encouraging the incorporation of cooler palettes into healthcare spaces. Utilizing the brand’s proprietary design software, Tylist, Artaic designers often collaborate with artists to create location-specific designs, advising on the best tile and colors to both suit the artist’s vision and fit schemes intended to evoke a sense of calm. For Seven Oaks Hospital in Winnipeg, Manitoba, for instance, Artaic designers worked with local artist Simon Hughes to produce the custom mosaic “Harvest Moon,” offering patients and their visitors a cheerful reception space and waiting area. The vibrant colors of the sun rising up over the horizon are broken up by the silhouettes of trees — used historically as a symbol of rejuvenation the mosaic’s trees present an obstruction to the light which is ultimately overpowered by the rich hues of the daybreak. The piece incorporates 3/4″ vitreous glass, including a scattering of 14-carat-gold leaf tiles to create a bursting sunrise-inspired gradient that reflects a sense of optimism at any time of day. The “Harvest Moon” mosaic underscores Seven Oaks’ dedication to a patient-first philosophy, which encourages programs and services that allow patients to get well and stay well. Its placement in the lobby ensures that each guest is afforded the opportunity to enjoy its beauty. This is especially important for young visitors, who are more susceptible to visual cues than their parents. Often unaware of medical terminology and strange machines, pediatric patients are often more anxious than adults. As a result, calming colors can aid in making children more relaxed and happy, going beyond a general sense of optimism and contributing to their overall response to treatment in pediatric wards. 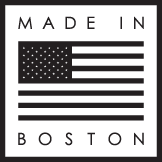 For example, the “Coastal Sails” mosaic for Children’s Hospital Boston, was created in collaboration with artist Sara Morton. The piece, which is displayed prominently at one of the hospital’s entrances, livens up the space with its bold colors and graphic elements. Offering a palette of serene blues and calming greens, the mosaic provides children with a serene image to enjoy while they wait. The piece also includes a custom glass tile displaying Morton’s signature. The psychology of color and healthcare design goes hand in hand. It is important for designers to give extensive thought and careful consideration when making color choices as certain hues promote a better mood and overall, greater wellness for patients, their families, and employees. Dr. Ted Acworth is he founder and CEO of Artaic — a manufacturing and design company that creates mosaics for use in residences, commercial properties, institutions, hospitality settings, and for public art installations.